Today I offer for you my contribution as part of the blogfest inspired by the musical group Devo and their catchy song WHIP IT. Elise Fallson and I are putting the song title…or rather a slightly altered version of it…to good use by encouraging participants to enlighten the blogosphere about their most recent [W]ork [I]n [P]rogress. Guiding you through the process are a few prompts we came up with to answer in your own post, along with the opportunity to solicit CP’s (partners who exchange material for detail critique – usually chapter by chapter) or Beta Readers (test readers who read entire manuscripts and offer broad opinions) if you’re looking for that. How long have you been working on it? : Ten months. First draft complete, about to begin revisions. Elevator Pitch (if you came across an agent in an elevator ride, what couple of lines would you use to summarize your book): I have a book that has the look and feel of Kendare Blake’s ANNA DRESSED IN BLOOD, the dread and intensity of Stephen King’s IT, and the mystery elements of THE HARDY BOYS. In it, I pit my sixteen year loner protagonist against a demon who has been destroying families for centuries…specifically families who have just completed a move…by taking possession of a family member and terrorizing the household for a period before finally taking their lives. Now it has found a victim in my hero’s family and he must figure out who it is, and a way to save them, before it’s too late. Brief Synopsis (300 words or less): We are a planet on the move. In the United States alone the average American moves 11.7 times in a lifetime. The length of an average move approximates the distance from New York City to Des Moines, and involves 6,900 pounds of possessions. It is one of those times when we are most vulnerable, and in people’s lives moving is the third most stressful event, behind only death and divorce. That’s why IT chooses them. That’s why IT has remained unnoticed for so long. To hear other people tell it (including his own family), Chace Gidden is nothing but a sixteen year old military-brat...emphasis on brat. The constant uprooting and moving from state to state and school to school has left him withdrawn, bitter, with a tendency to act out following each of his father’s transfers. But that was before, and as the saying goes…be careful what you wish for. It appears his family is finally settling down, but only after losing his mother to cancer and a prank-gone-wrong tragically sentenced his younger brother to life in a wheelchair. Now Chace finds himself in unfamiliar territory, attempting to make amends for past behavior and doing what little he can to help mend his broken family. The move to Ox Bow was intended to be a fresh start, but unbeknownst to the Gidden’s something else has moved in with them. The appearance of a mysterious black box in Chace’s room begins a chain of events that have repeated for centuries. Inside awaits an ancient evil, a demon that has chosen one of the Gidden’s as its next vessel to do its bidding. It falls to Chace to do what no one has ever done before, figure out who that is and find a way to defeat the entity without killing its human host. His only help comes by way of the socially inept boy next door who’s desperate to make a friend and the girl who’s reluctant to let that happen. But time is running out for the three of them as the malevolent force draws closer to obtaining the two things it hungers for most, mortal fear…and fresh souls. Are you looking for a Critique Partner? I already have a really good one, but the two of us might be interested in expanding. Leave a note if you’re interested and we’ll see. 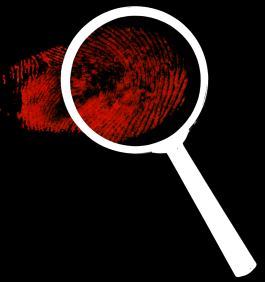 Are you looking for a Beta Reader? Definitely, after I finish my next round of revisions. Please check out the other participant’s WIP’s from the list below. Sounds like you have all your duckies in a row DL. How's the missus? Still praying. Sounds great. Looking forward to seeing more! Yup. I still want to read this! This sounds awesome. I definitely want to read this! I wish I prepped today. I'll see if I can post something about my WiP. We'll see. Sounds great! That last paragraph really pulls me in! Nice and creepy! I'd love to read this. Excellent synopsis. P.S Would love to beta read. Am already critique partnering her ENTIRE novel, so I'll be really busy with that. She wants it with a lice comb...if that makes sense. Oh perfectly creepy! Love it! I'd be up for a beta exchange if you're interested. DL I first want to thank you for this challenge. I love to talk about my work and to promote it to other writers who will analyze it is a brilliant idea. As far as your premise I think it should be gtangbusters. I can see how the plot will strike just the right balance of fear and curiosity making the reader cringe but still continue reading to see if Chase can defeat the demon. On a side note, can you tell me how I get the list of participants to appear on my WIP post? Dobson - at the bottom of the list there is a link that says GET THE CODE. Click on that and copy the code in your post (HTML mode). Yup, I'd read it. It sounds like a great story, and congrats on getting through the first draft! Those things can be nasty, eh? I've moved about 15 times *managed to dodge the demon* I can appreciate your uniquely wicked concept! I can also see how "IT" would be drawn to the turmoil! Intense! Excellent DL. That synopsis is text book...this is how you do it...worthy! Chase sounds like he's been battered by his challenges, but still has to overcome. Good elements for an interesting read. Sounds like an exciting read!!! Love the name and the premise of this fest! Sorry I didn't join. I'm a chicken when it comes to horror, but the story sounds great. 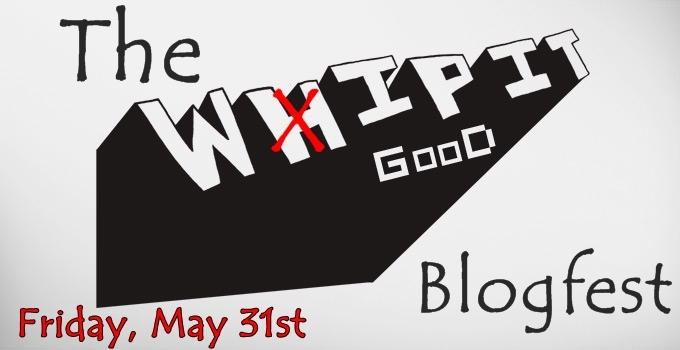 Your WIP got whipped good:) Sounds like it's about ready to hit the shelves. I love to be deliciously scared! Obviously you know that I adore this book and would sell it to everyone like it was my own. I can't wait to read the revised version! This is a very fun Blogfest! So many great ideas! I think horror in YA is a great market - not many writers approaching this, though teens today are interested in horror! Can't wait to see the final product! Your novel sounds riveting, DL! This line struck me most: "It falls to Chace to do what no one has ever done before, figure out who that is and find a way to defeat the entity without killing its human host." I want to know exactly what that means! Awesome premise. Keep it up and good luck with your revisions! I got chills just from the pitch! Sounds awesome, and freaky. Good luck with revisions! I really like the name Chace Gidden and your description of him. Sounds like an interesting character. Love the synopsis, my kind of book I think :) Good luck with it! Look at you and the Blogfest! YA Horror, I love your idea. Poor Chase. That black box sounds very creepy. What a fantastic concept! It almost sounds like a YA Supernatural. Dark and intriguing. I would say your elevator pitch could use a little polish and trimming for conciseness (for example, "protagonist" is self-evident--who else would the book be about? )At the moment it sounds a bit formal and note-cardy--elevator pitches should sound a bit more conversational, but not "wordy". Wow, that's a good story, and you did an amazing job with the pitch and synopsis. This sounds awesome! I'm currently reading Anna Dressed in Blood and loving it, although I'm not a fan of Stephen King horror. I love horror but am picky about it, lol. As long as your story isn't too overkill scary for me, I'm sure I'd love this. All I can say is, way to build suspense! Yes, I'd read this. You had me at Stephen King and the Hardy Boys. Now I must go sample Anna Dressed in Blood. The black box sounds pretty creepy! I love scary movies, but scary books seem too real to me and I end up with nightmares...I don't think I'd be a good cp on this one. Sorry....but sounds like a movie I'd love to watch. You've got my attention -- sounds like a very cool premise. This was much harder than I thought it would be...lol. However I loved the idea and really enjoyed participating! DL, your story sounds creepy as heck, but I'd read it for sure! Thanks so much for doing this! It was a blast. Great stuff, I would love to read it! 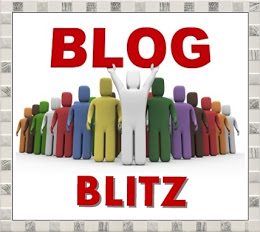 Thanks to you and Elise for hosting this blogfest, it has been great! Sounds like a book I wouldn't want to be reading at night! Enjoy working on your WIP. These days, I'm having a hard time deciding what my WIP is. I started a sixth novel but haven't worked on it in awhile. I've decided to go back to book five and give it more spit and polish. So, is book five my WIP or six? That sounds intriguing, DL! And appropriately horrifying. Definitely notice the influence of Stephen King's IT, but I've never read ANNA DRESSED IN BLOOD. I really like the name Chace. One very minor picky point: it should be Giddens, not Gidden's (plural, not possessive). I think you're all very brave to post an excerpt from your WIP online. Duh. I meant to say a synopsis of your WIP. I love the sound of IT. Especially the dark and malevolent evil, preying on people at their most vulnerable. Eery and exciting. It's been far too long since I've read a horror story! Love how your synop starts out with all the stats about moving! It really give this horror its own distinctive flavor. Sounds really good! Best of luck with it. Thanks so much for this fun blogfest! I've succeeded in commenting on everyone who participated (a handful of links led to blogs that hadn't put up a WiP It post...), and they've all featured such diverse stories! Yours sound really neat - scary but thrilling at the same time!